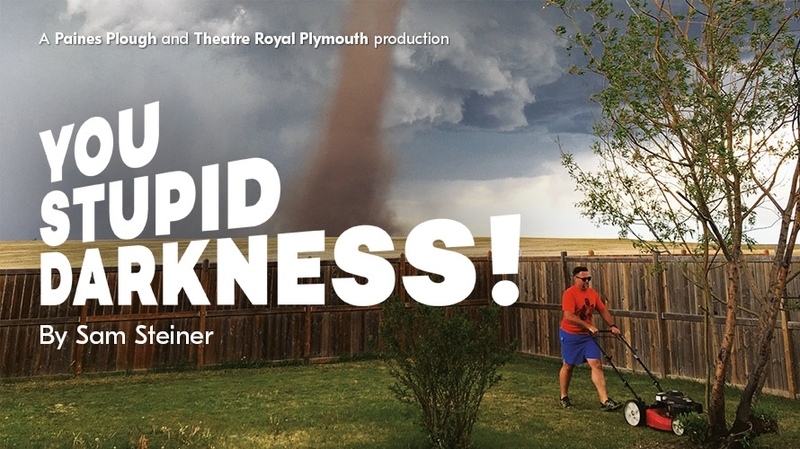 Alongside the blogs which take a look behind the scenes at the rehearsal process for You Stupid Darkness!, our co-producers Paines Plough are recording a brilliant new podcast series from inside the rehearsal room, as the director and playwright reflect on each week’s progress, with different special guests each week. Episode 1 – ‘I wanted to write a hopeful play about the end of the world’. An example of the formatting of the script for You Stupid Darkness! Director James Grieve and Playwright Sam Steiner reflect on the first week of rehearsals in the PP rehearsal room. Featuring Assistant Director Freddie Crossley and Assistant Stage Manager Rosie Morgan.